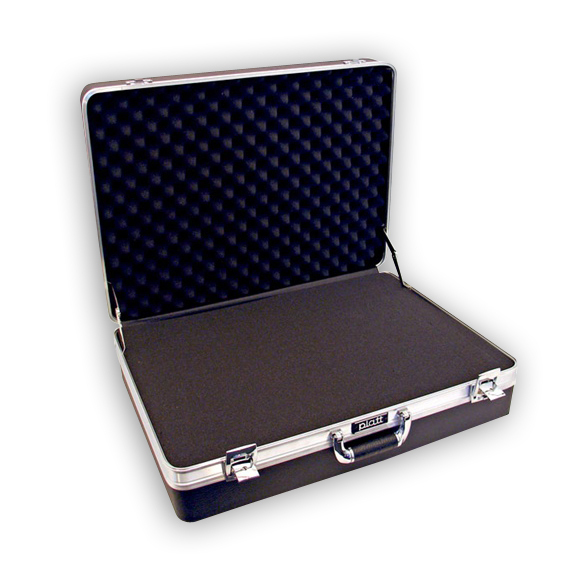 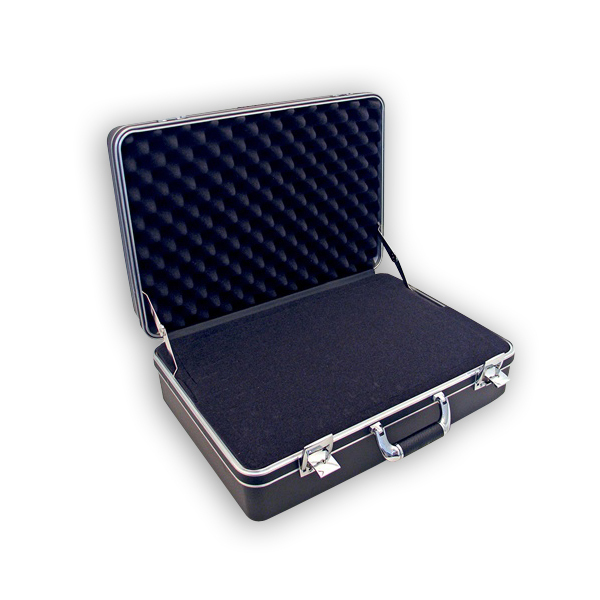 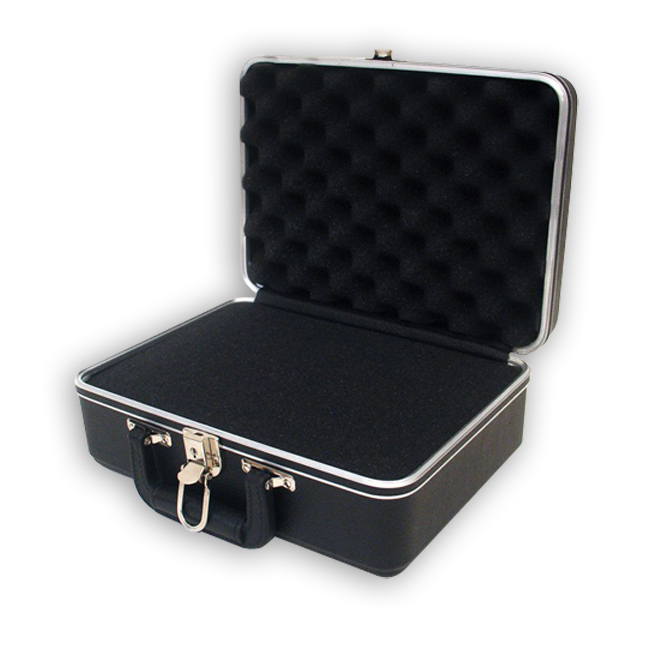 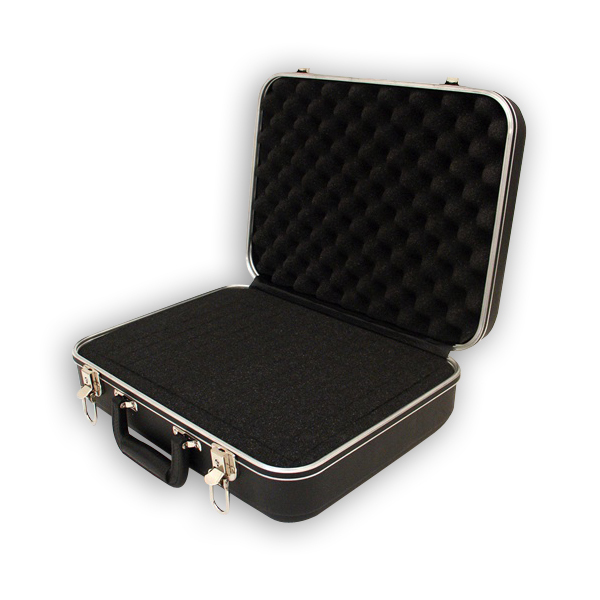 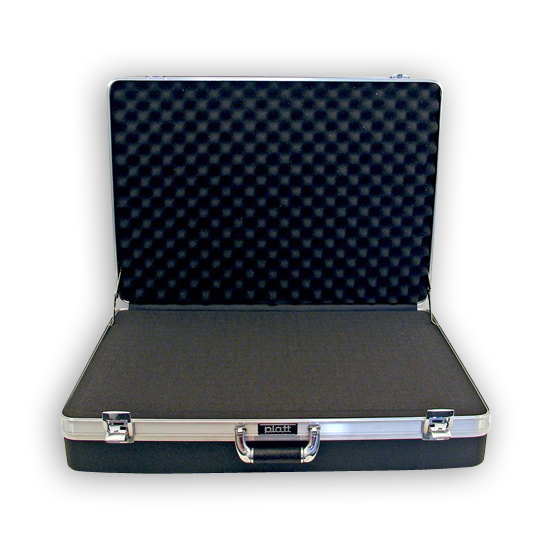 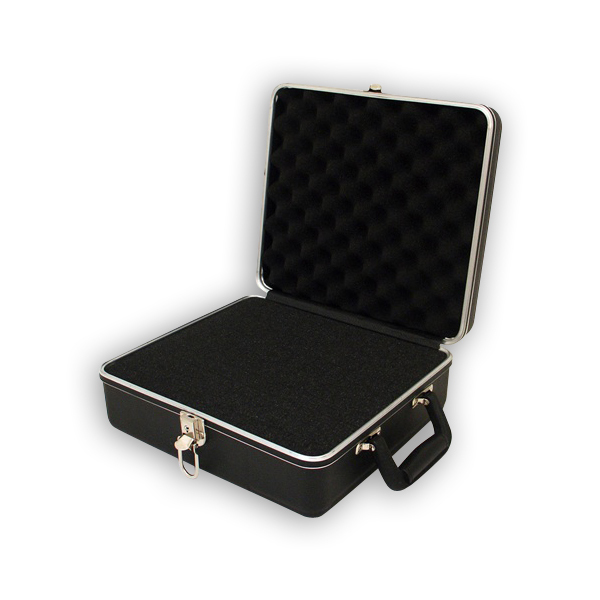 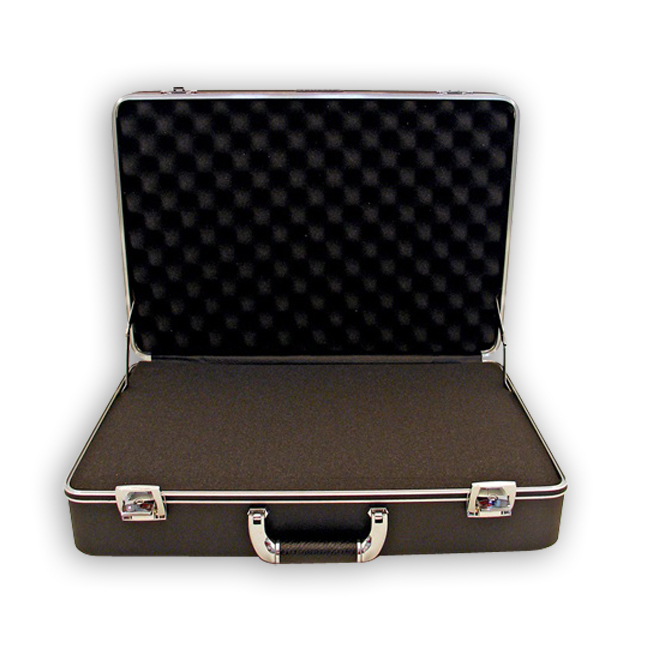 This case comes with our standard pick-n-pluck cubed foam. 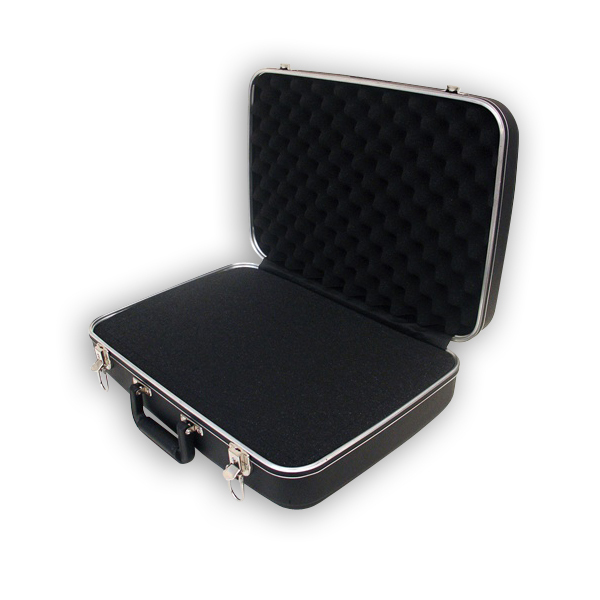 The exterior shell is tough impact resistant HMW polyethylene. 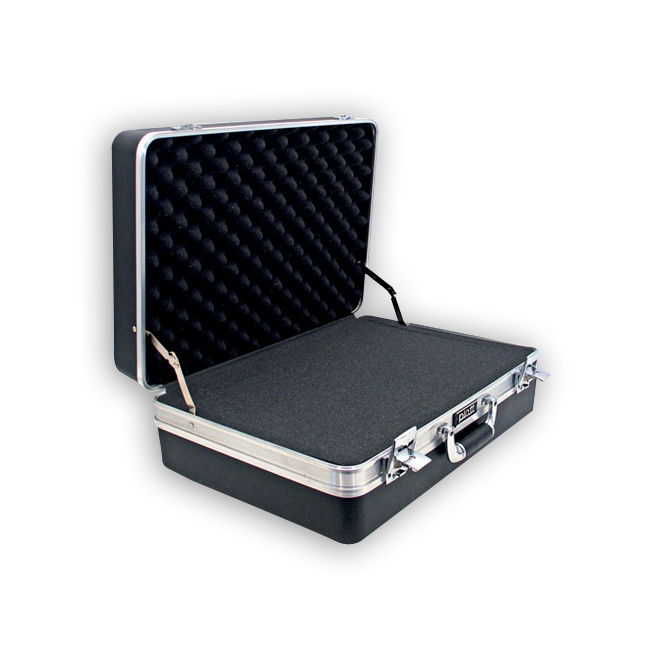 Heavy-duty aluminum rim with black trim and gasket, cast chrome key locks, full-length piano hinge, and deluxe golf grip handle. 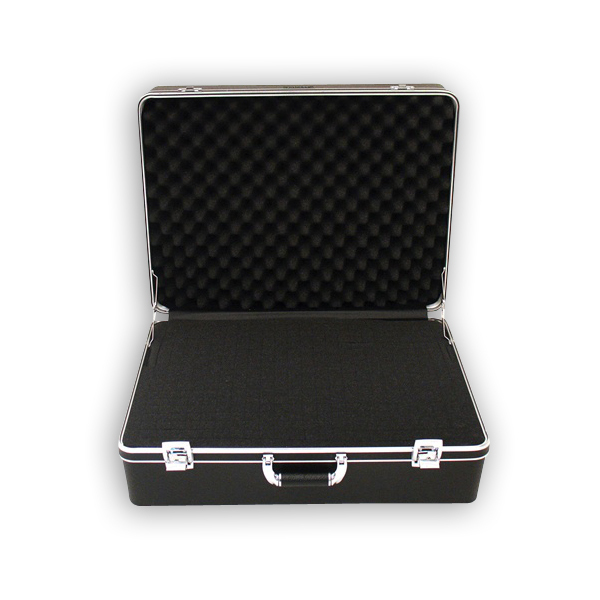 Cubed foam set included. 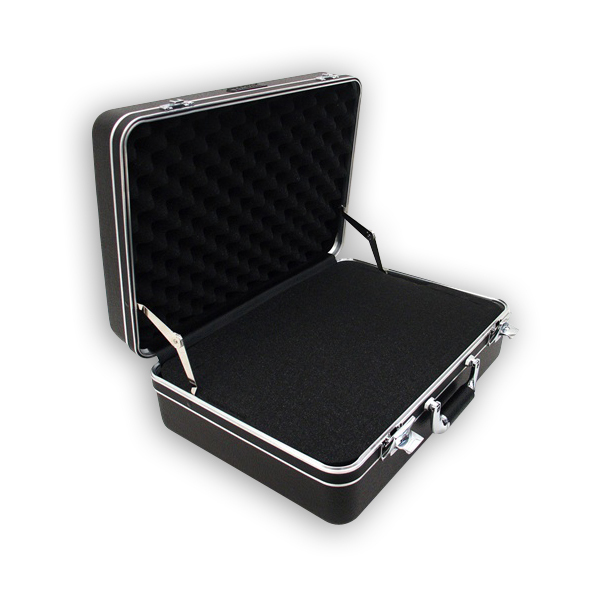 The exterior shell is tough impact resistant HMW polyethylene. 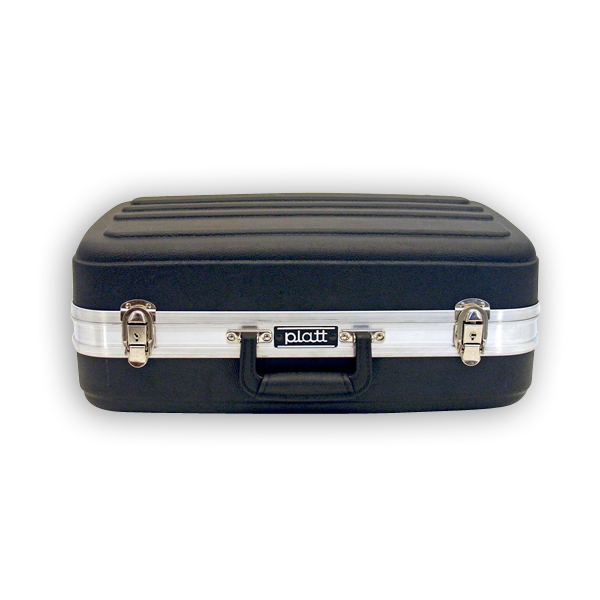 Heavy duty aluminum rim with black trim and gasket, cast chrome key locks, full length piano hinge, and deluxe golf grip handle. 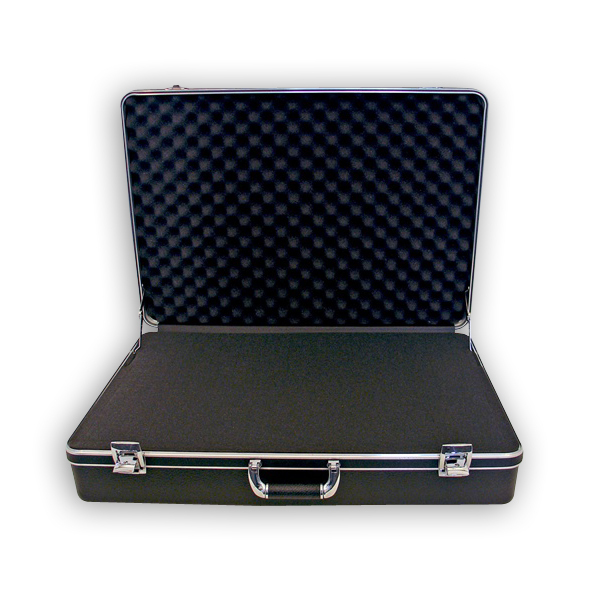 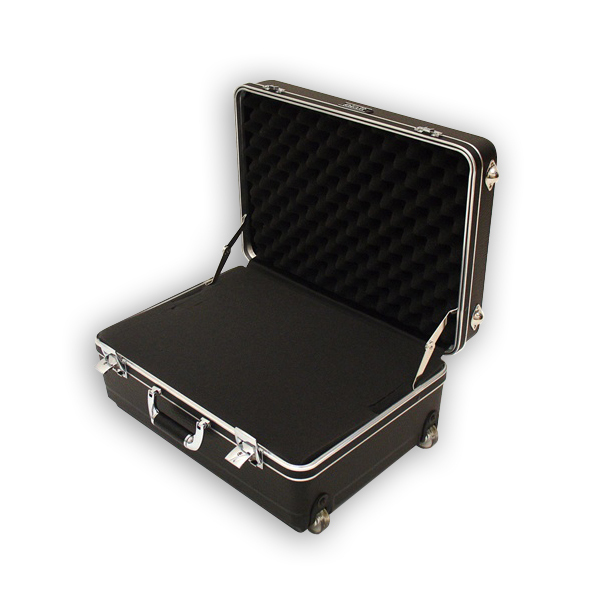 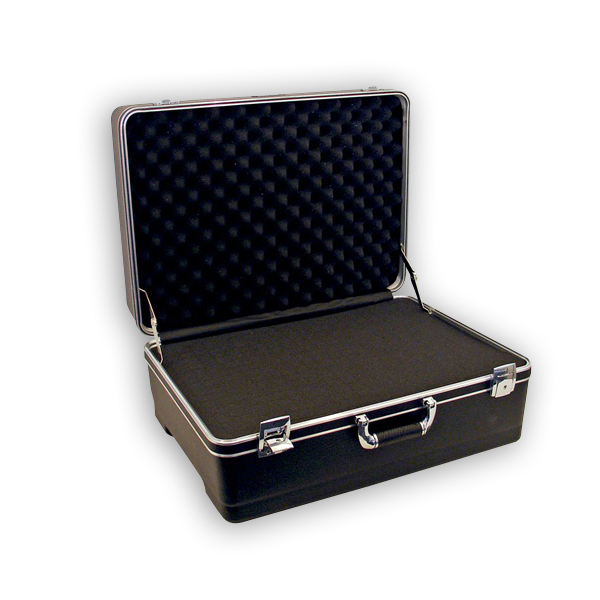 Light-duty, black, scuff resistant molded ABS thermoplastic forms the tough shell of these cases.